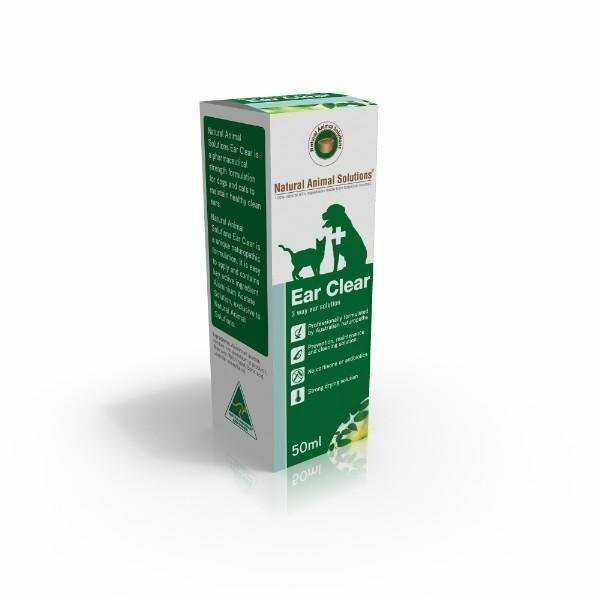 Natural Animal Solutions Ear Clear 50ml treats and prevents excess wax in ears, mild external ear canal infections, yeast and ear mites while drying out excess moisture in the ear canal. Ear Clear will help treat and prevent excess wax in ears, mild external ear canal infections, yeast, and ear mites, while drying out excess moisture in the ear canal. It will assist with common ear infections without the use of cortisones and antibiotics, and will not kill the natural good bacteria needed in the ear. Can be used in cats and dogs.